On the occasion of the European Month of Photography Berlin 2018, the EMOP Opening Days will be presented from September 28 to September 30, 2018 at C/O Berlin in the Amerika Haus at Hardenbergstrasse 22-24, 10623 Berlin. The EMOP Opening Days will be the kickoff event of the popular photography festival and one of the highlights of the Berlin Art Week 2018. This year’s EMOP Opening Days are devoted completely to the central themes of photography: light and time. Drawing with light – that’s what photography means in the original sense of the word. Light is the key ingredient in the photographic image. As a technical innovation, photography is unsurpassed in its magic—and in its ability to change human perception forever. Along with light, time is the other decisive element in the emergence and passing of the photographic image. Exposure times that are too short or too long cause photographs to change. Photographs age—they are ephemeral. They fade or disappear completely, and they always make reference to something that existed in the past. Then and now, this paradox is what defines the magic of photography. Since the invention of the medium, photographers and photography theorists have been preoccupied with the aspects of time and speed. Yet our perception of time and space has changed in the twenty-first century with the advent of digital photography, internet, social media, smart phones and computer generated imagery (CGI). What will photography look like in the future? Which different temporal categories for the photographic image do we need to develop? C/O Berlin joins EMOP Berlin with the themed exhibition Back to the Future . The 19th Century in the 21st Century. The show was initiatived by Foam Fotografiemuseum Amsterdam and curated in collaboration with C/O Berlin. It presents works of contemporary artists who are using techniques, methods, and processes that trace back to the nineteenth century, the early age of photography. The contemporary works in the exhibition are presented in dialogue with outstanding nineteenth-century works to playfully illuminate the astonishing parallels between them. In collaboration with the Fundación MAPFRE in Madrid the great retrospective Nicholas Nixon . Life Work with the artist’s complete oeuvre, will be opening parallely and featuring his well-known series The Brown Sisters. The EMOP Opening Days 2018 is a program curated by Felix Hoffmann and Ann-Christin Bertrand. It will feature lectures, talks and panels with internationally renowned photographers, curators, media experts, and journalists, such as Armen Avanessian, Philosopher (CH), Sylvia Ballhause, Artist (DE), Doris Gassert, Curator, Fotomuseum Winterthur (AT), Peter Geimer, Art Historian, Freie Universität Berlin (DE), Claus Gunti, Researcher, ECAL École Cantonale d‘Art de Lausanne (CH), Anke Hennig, Author/Researcher, Central Saint Martins University of the Arts London (DE), Martin Parr, Artist (UK) among others. It will be accompanied by performances, music acts, and workshops for adults, teens and children. Photobook: RESET curated by Bruno Ceschel (Self Publish, Be Happy, London) inspires radical thinking and examines the future relevance, form and distribution of the photo book. On the occasion of the EMOP Opening Days of the European Month of Photography Berlin 2018, C/O Berlin gave Carte Blanche to Bruno Ceschel (Director, Self Publish, Be Happy, UK), who created Photobook: RESET as an innovative new format on the subject of the future of the photobook. From September 29 to 30, 2018 a range of workshops and panels will take place with six internationally renowned experts and professionals from media, science, arts and culture, and thirty invited special guests at C/O Berlin in the Amerika Haus at Hardenbergstrasse 22–24, 10623 Berlin. 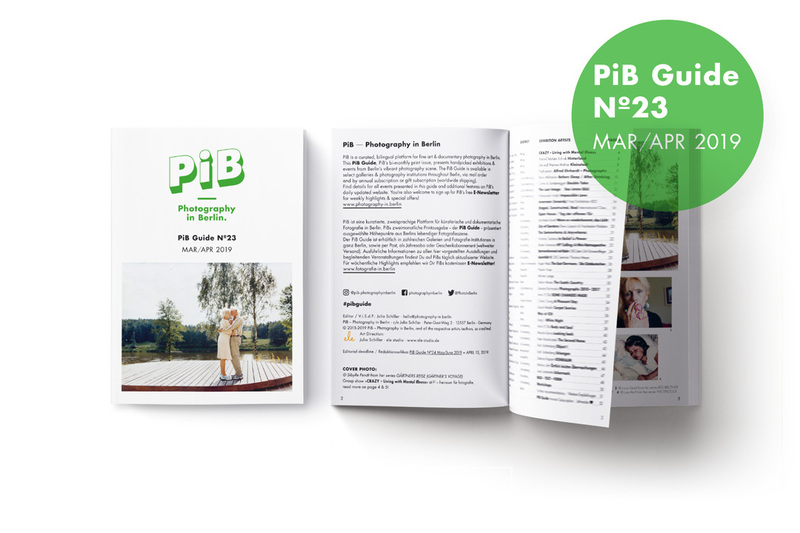 For Photobook: RESET, thirty interested participants from the public will have the chance to take part in the program (details: see below). Over the past 10 years, the self-publishing revolution‘s DIY ethos has re-energized a conservative and backward-thinking publishing industry. The creative input of a new generation of authors and makers has democratized the world of the photobook, proving both the medium’s strength and its capacity for experimentation and artistic expression. Simultaneously, countless releases by major publishers and small presses, self-published volumes and print-on-demand products are on display at an ever-increasing (and increasingly indistinguishable) number of photo and book fairs. The book market has long been oversaturated by an impossibleto- ignore sea of publications. The photobook world is in existential crisis. In our current social, political and technological landscape, the medium’s very raison d’etre is under threat. Around the world, new digital technologies have created new means of production, communication and distribution. So what is next for the photobooks? What new forms should the photobook take? 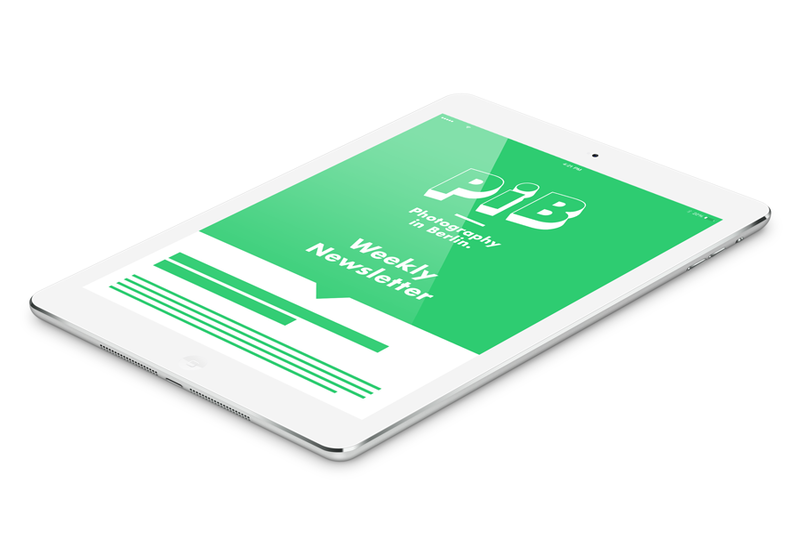 How can we harness the power of technology to assist artists and thinkers in making provocative and necessary experiments in publishing? It is time for a fundamental reconsideration, innovative ideas, and a fresh start – Photobook: RESET aims to inspire radical thinking around the form and content of the photobook. As the name suggests, the project wants to prompt a reset and provide an environment in which to consider new possibilities, ideas and opportunities outside of the usual parameters. 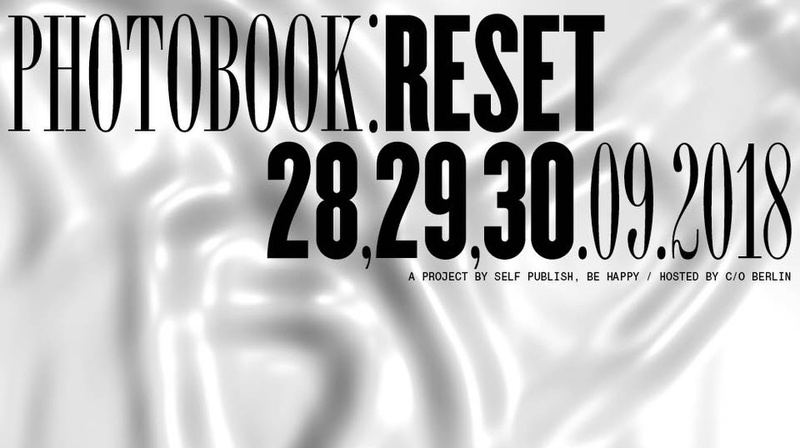 Photobook: RESET is curated by Bruno Ceschel and hosted by C/O Berlin. Bruno Ceschel is the founder and director of Self Publish, Be Happy and a visiting lecturer at Camberwell College of Arts, University of the Arts London, and École cantonale d’art de Lausanne (ECAL). His most recent book Self Publish, Be Happy: A DIY Photobook Manual and Manifesto was published by Aperture in 2015. He founded Self Publish, Be Happy in 2010 and has since organized events at leading arts institutions including Tate Modern (UK), Kunsthal Charlottenborg (Denmark), MoMA PS1 (US) and the National Gallery of Victoria (Australia), and published books by Lucas Blalock, Mariah Robertson, Lorenzo Vitturi and many more. Ceschel lectures and hosts workshops internationally, and also consults for leading companies interested in contemporary photography. Alain Bieber, Director NRW-Forum Düsseldorf (DE), Lou Cantor, Artist Collective (DE), Lerato Dumse, Poet + Activist Inkanyiso Collective (ZA), Asher Hartman, Artist (US), Nathan Jones, Artist + Co-Author Artists Re:thinking the Blockchain (UK), Jess Row, Artist + Playwright (US). The Oracle has no gender, no ideology, no preconception. An interactive multimedia altar to Photobook: RESET that resides in the foyer of C/O Berlin. Using light and shadow, sound and silence and an artificial intelligence, The Oracle will offer visitors advice and make forecasts about the future of photography, books and life. Analysing data – predictions made by experts participating in the workshops and as well as visitor feedback – it acts as stimulus for future action. In a time of great uncertainties, The Oracle will shine as a beacon questioning our blind faith in technology. Join one of six working groups together with photography professionals and attend workshops run by Alain Bieber, Lou Cantor, Lerato Dumse, Asher Hartman, Nathan Jones and Jess Row. This is an opportunity to be part of an ongoing itinerant research project into the future of the medium. Anybody interested in rethinking the form and content of photobooks. We are interested in meeting inspiring and motivated people from all kinds of professional fields interested in questioning the way we all work in light of ethical, financial and technological issues. Students are welcome! From the submitted applications, a selection of 30 participants will be made. What does the participation of Photobook: RESET cost? (for students) for a two day program. 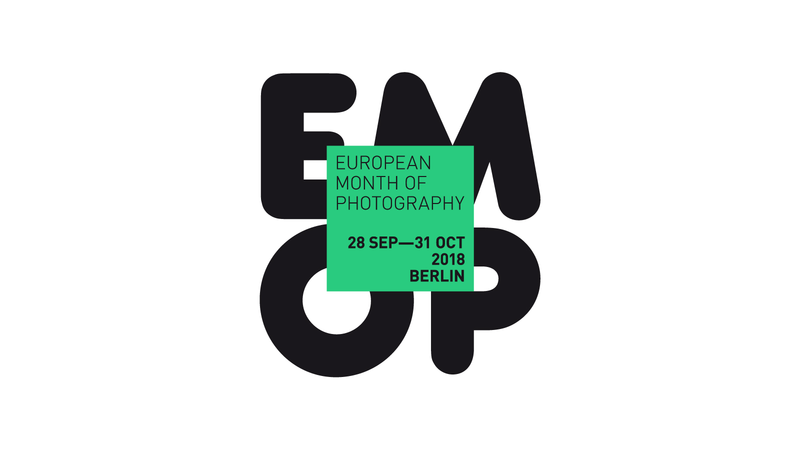 On the occasion of the EMOP Opening Days of the European Month of Photography Berlin 2018, the Portfolio Reviews will take place on September 29 and September 30, 2018 at the Helmut Newton Foundation / Museum für Fotografie in the Jebenstrasse 2, 10623 Berlin in cooperation with C/O Berlin . Present your photographs in one-on-one discussions, explain your image ideas in person and benefit from the knowledgable opinions of international experts! For Portfolio Reviews, 80 photographers, artists, and students will have the chance to present their photographic work to world-renowned experts in 15 minute-long individual discussions – including photographers, curators, art directors, journalists and gallerist such as Milena Carstens (Senior Photo Editor, ZEITmagazin), Doris Gassert (Curator, Fotomuseum Winterthur), Dr. Matthias Harder (Curator, Helmut Newton Stiftung, Berlin), Heike Catharina Mertens (Program Director, Hatje Cantz), Kim Knoppers (Curator, Foam Fotografiemuseum Amsterdam), Christina Leber (Head of DZ Bank Kunstsammlung), Robert Morat (Robert Morat Galerie), Katia Reich (Galerie LOOCK), Anna Tellgren (Curator, Moderna Museet Stockholm) and Ralf Zimmermann (Picture Desk, Süddeutsche Zeitung Magazin) among others. How are the reviews done? During registration, interested applicants can book three or six discussions and select their preferred reviewers. The Portfolio Reviews are divided into four time blocks over two days – Saturday, September 29 and Sunday, September 30, 2018, each day from 11:00 a.m. to 02:30 p.m. and 04:00 p.m. to 07:00 p.m. Interested applicants can submit their portfolio online with up to 20 photos (5 MB) in digital format at www.emop-berlin.eu. In addition to the portfolio, a short project description in German and English with a maximum length of 500 characters per language as well as a short resumé. From the submitted applications, a pre-selection of 80 photographers will be made. What do the Portfolio Reviews cost? The application fee of 90 Euros for three discussions or 150 Euros for six reviews will be charged. From from now until Monday, September 03, 2018, 03:00 p.m.